A lever harp to take you from beginner to intermediate and beyond. Fitted with unique Teifi Harps semitone levers. Comes complete with detachable legs, tuning key and carrying case. Natural wood or stained coloured versions available. Professional grade Celtic lever harp. Available with lever or standard gauge gut strings (synthetic options also available). Fitted with unique Teifi Harps semitone levers. Variety of woods and wood combinations available. Detachable legs or stand-alone plinth available as optional extras. Our largest lever harp with the full sound and spacing of a concert harp. Fitted with Teifi Harps semitone levers with optional traditional Welsh scroll. Variety of wood combinations. Plinth optional. From our unique semitone levers to our combining of traditional techniques with modern materials, find out what makes Teifi Harps different. Find out more about our comprehensive harp hire scheme for students and beginners alike. 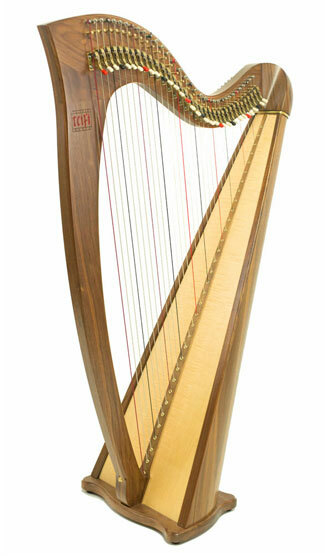 Payments can be offset against the future purchase of a Teifi Harp. If buying a harp for your child seems like a big investment, we work with local authorities to provide an Assisted Purchase Scheme which may be able to help. Second hand and used harps. 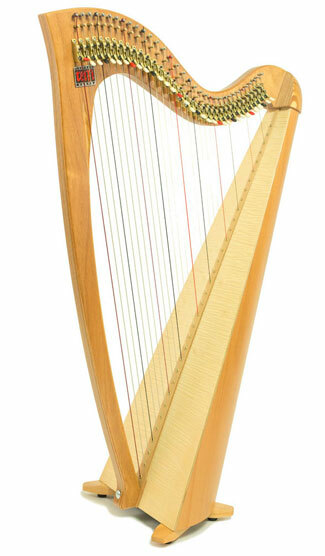 We sometimes offer fully serviced second hand harps for sale as well as showing listings for private sellers. 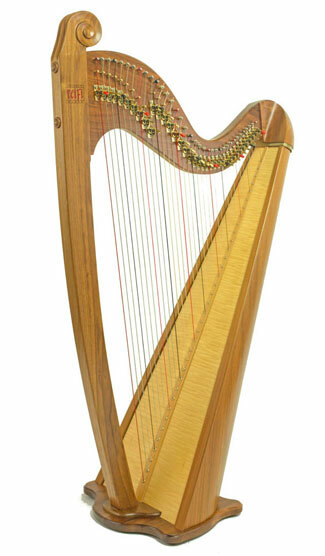 View and list second hand harps here. You can see and play our harps in many locations across the UK and Ireland – either through an agent or a teacher who owns and/or hires out Teifi Harps. Please see the map or the list below for the nearest one to you. We also ship worldwide and have agents around the world. If you are from outside the UK and are interested in trying or buying a harp please get in touch with us or with one of our agents directly (see list below) for more information. Weekends by appointment, please telephone to arrange.